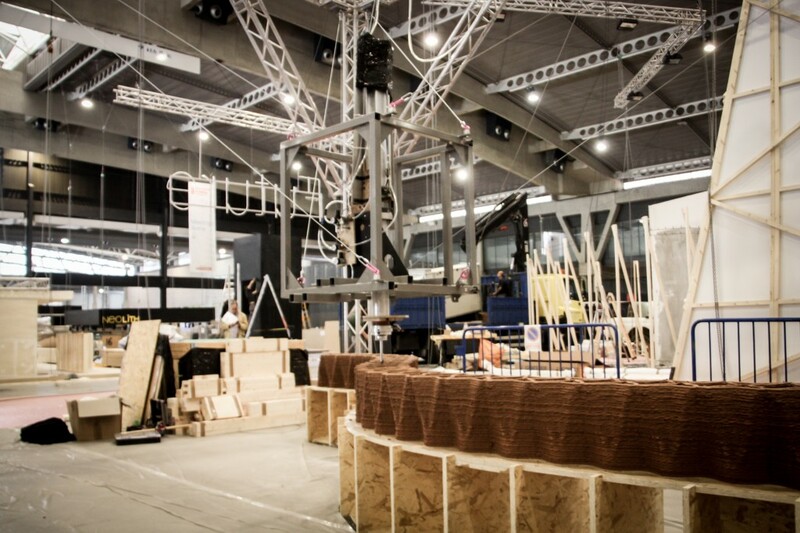 The twentieth edition of Barcelona Building Construmat, Barcelona’s international construction show on the 23rd – 26th of May, will be putting a particular emphasis on innovation and new technologies, the driving force behind the changes that the construction sector is currently experiencing. 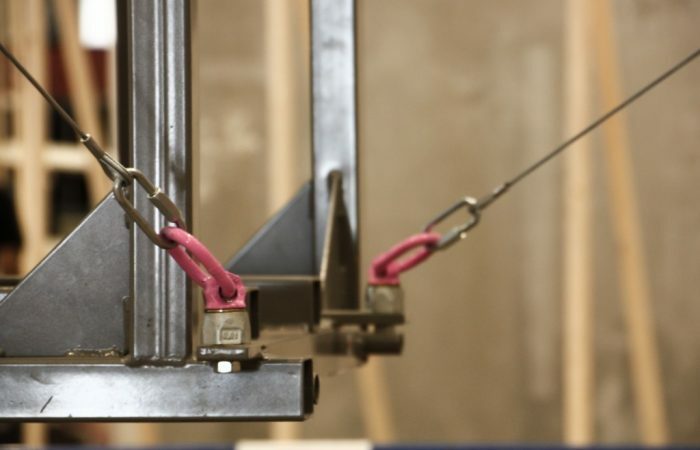 At the show, IAAC and Tecnalia will unveil On Site Robotics, a project showcasing the advantages of the use of robots driven by cables in a pioneering system which allows building large-scale constructions on the building site. 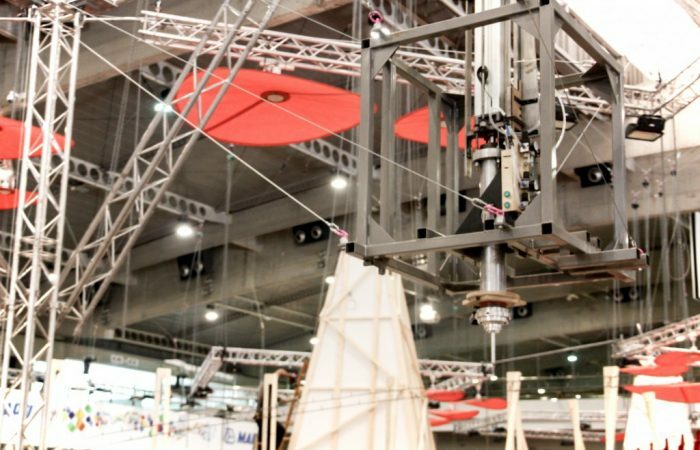 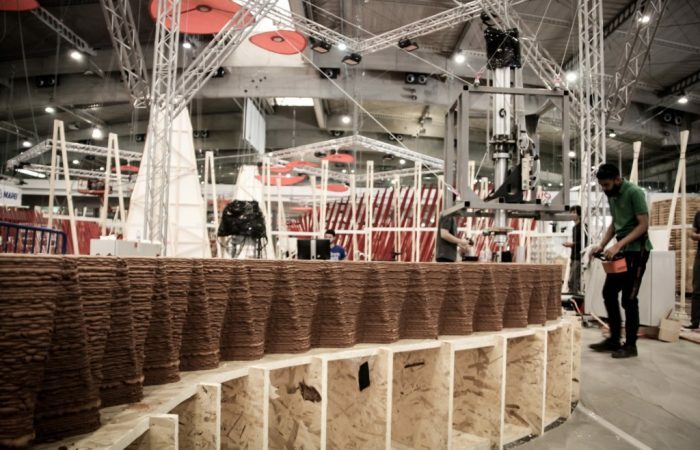 Thanks to the technological advances presented in On Site Robotics, and promoted by IAAC and Tecnalia, the possibility of printing 3D architectural elements of large dimensions and small buildings is closer to becoming a reality. 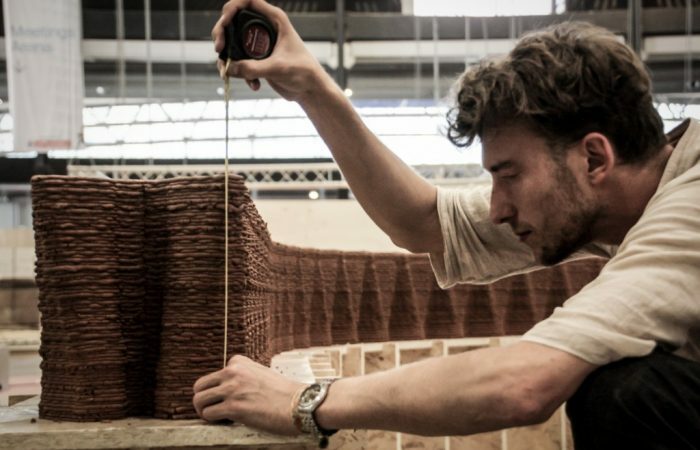 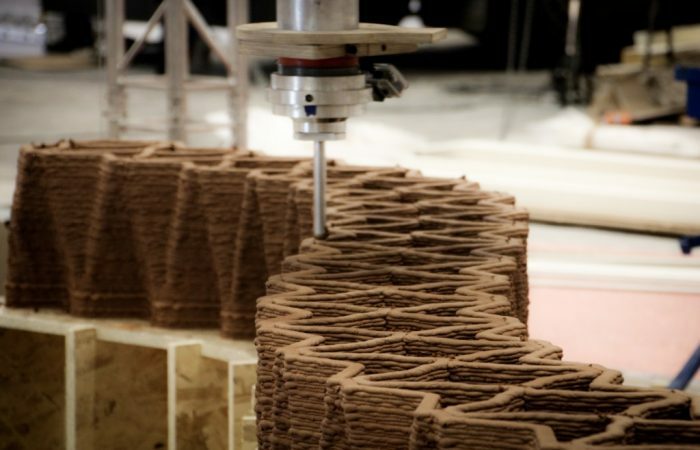 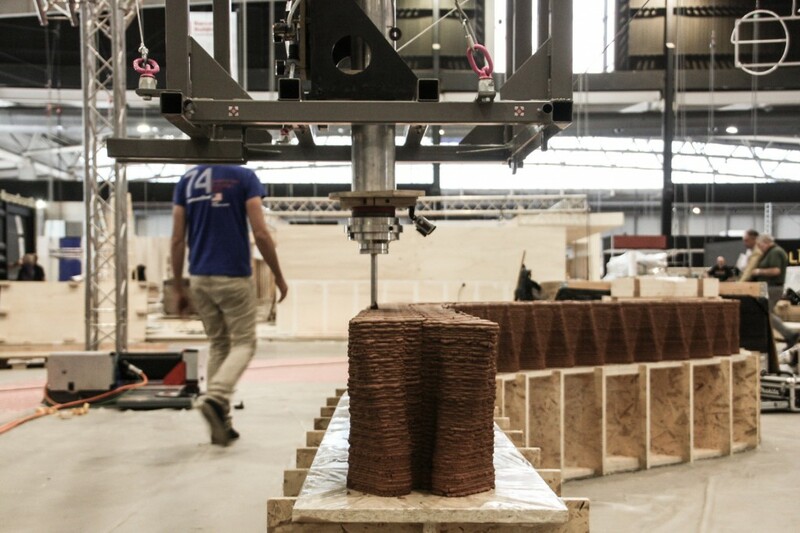 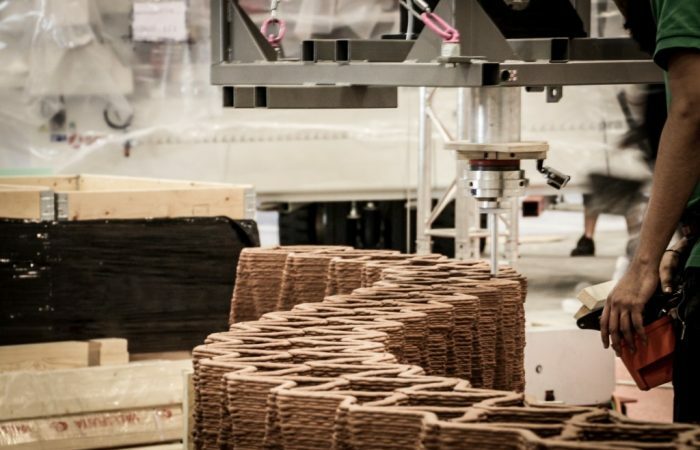 The 3D printing system featured in On Site Robotics will put the use of drones on the spotlight during the large-scale printing of construction parts and even smaller buildings made with local products such as clay. 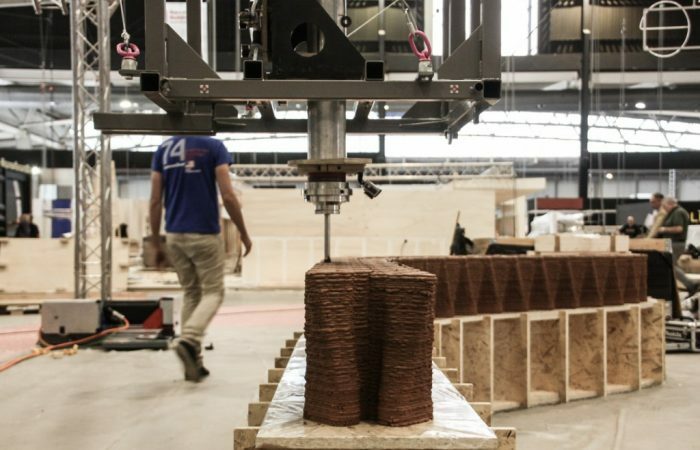 Airborne robots by Noumena will monitor the development of real-time construction using cameras that provide thermal information on the structure’s drying state. 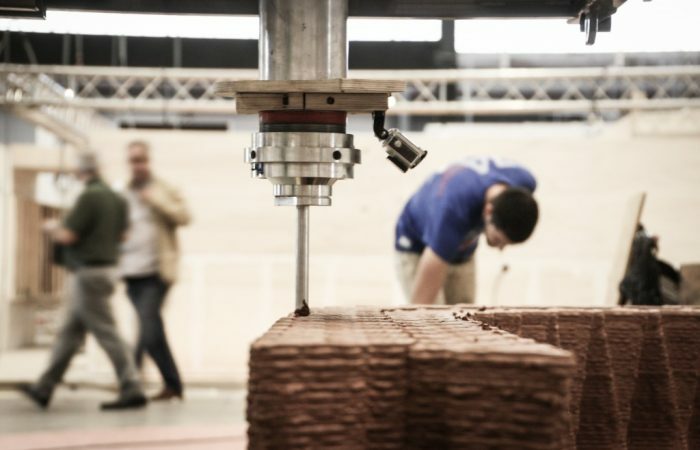 On Site Robotics demonstrates the potential of 3D printing systems using robotic technology (cable robots and drones) to automate on-site production of buildings and their monitoring during real-time construction.